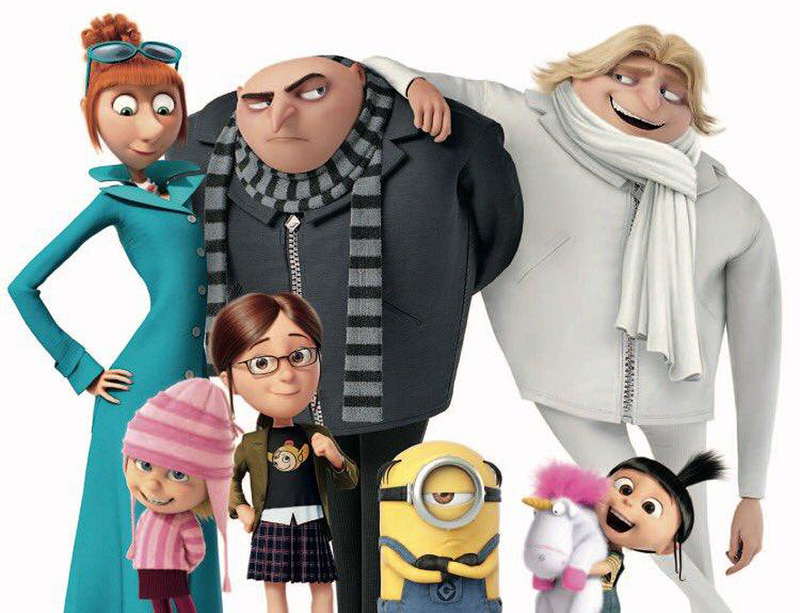 Illumination and Universal Pictures’ blockbuster Despicable Me introduced global audiences to super-villain Gru and his mischievous Minions. After becoming a father to orphans Margo, Edith and Agnes, initially as part of an evil scheme to steal the moon, Gru ultimately gave up his life of crime and turned from Super Bad to Super Dad. In Despicable Me 2, Gru was recruited by the Anti-Villain League (AVL) to put his skills as a former villain to use and brought the worst of the worst to justice. Never thinking romance was in the cards, Gru wound up falling hard for his super-spy partner, Lucy. To the delight of his daughters—who had always wanted a mom—he ultimately asked Lucy to marry him. In Minions (which was released in 2015 but is a prequel to the Despicable Me franchise), we learned the origins of the lovable, yellow creatures and saw how Kevin, Stuart and Bob’s comedically misguided quest for an evil leader ultimately led them to team up with a young Gru. The mischievous trio will return for Minions 2 in July 2020. This season, Illumination Entertainment continues the story of Gru, Lucy, their adorable daughters—Margo, Edith and Agnes—and the Minions in Despicable Me 3 in Philippine cinemas on June 14, 2017. Despicable Me 3 is directed by Pierre Coffin and Kyle Balda, co-directed by Eric Guillon, and written by Cinco Paul & Ken Daurio. The film is produced by Illumination’s Chris Meledandri and Janet Healy, and executive produced by Chris Renaud.